Here is a ball of compressed catnip for the cat to chase and bat around. 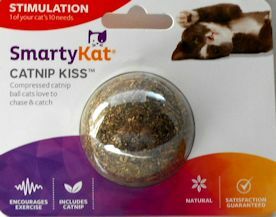 The catnip is produced without pesticides or chemicals. The ball is 1 7/8" in diameter.